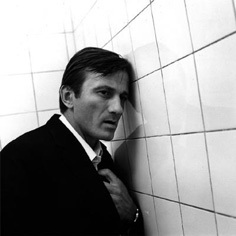 When European audiences first saw veteran Czech director Karel Kachyna’s Ucho [The Ear] in 1990, all of twenty years had elapsed since the time of the film’s production. The major cinemas of the European Eastern Bloc in the Post-World War II era were all variously marked by the sweeping, turbulent political climates and developments that characterised the more than forty years of communist rule. The Ear, however, was made at a particularly fateful moment in the history of what was then Czechoslovakia. Kachyna and screenwriter Jan Procházka (an esteemed novelist and communist activist with whom the director collaborated on 13 films throughout the 1960s) began production on the film in the immediate aftermath of the Soviet invasion of Czechoslovakia on 20 August 1968. This decisive military intervention had immediately curtailed the prevailing atmosphere of liberalisation that had swept throughout the country and its culture in the wake of the “Prague Spring”. And, furthermore, it had all but written off the significant achievements of the Czech New Wave, which for five years had been at the forefront of European art-cinema and had heralded the careers of Milos Forman, Jan Nemec and Jiri Menzel, amongst others. At a time when such films as Forman’s subtly critical yet nonetheless wryly affectionate comedy The Firemen’s Ball (1967), Vera Chytilová’s fantastical Daisies (1966), and Nemec’s satirical Report on the Party and the Guests (1968) were banned outright, The Ear can easily be seen now as fated to life as a so-called “shelf film”: a work banned after completion for reasons of political censorship. And so it was that Kachyna’s searing and uniquely direct exploration of life under a totalitarian regime was immediately suppressed in 1970. Thereafter, unlike Forman and Nemec’s work, it remained entirely unseen, until 1989 when it initially appeared (in a strictly regimented screening from which the public were locked out) as part of a Kachyna retrospective in the director’s native country. The following year, in the wake of the “Velvet Revolution”, The Ear was granted a belated release: it played in competition at the 1990 Cannes Film Festival, and drew almost unanimous acclaim for both its distinctive style and its status as a document “after the fact” of life within a communist country. And herein lies the main fascination of the film. The central, present tense plot of The Ear – its ferocious account of the disintegration of a marriage as untold tensions, resentments and problems are forced to the surface – has the intensity of Edward Albee or Eugene O’Neill and the intimate honesty of Ingmar Bergman’s Scenes From a Marriage (1973). However, unlike the naturalistic register in which the aforementioned writers and directors played out their domestic traumas (especially Albee, whose sometimes strained realism tainted the film version of his Who’s Afraid of Virginia Woolf? [Mike Nichols, 1966]), Kachyna adds a subtle expressionistic touch to his narrative. Paramount in this regard is the use of light. When Anna and Ludvik first return home they find they have no electricity. For much of the night thereafter, they move around in a house swamped in darkness, lit (as in a film noir) by torch and candlelight that throws faces into harsh relief and suspends them in blackness in a perfect visualisation of entrapment and of individuals alienated from both each other and from their environment. This figurative darkness, then, becomes connotative of both personal and national despair. It is further contrasted with the flashbacks to the evening’s engagement at Prague Castle, which is seen in several ominous, low-angle shots that present it as a Kafkaesque, monolithic paradigm and bureaucratic ivory tower. Here, the screen is sporadically awash in bright, sterile light, in completely white surroundings, as Ludvik becomes sick in the toilets. This obverse effect anticipates the aural invasion of the home that follows (and from which the film’s title derives) in underlining the inescapability of the situation that Ludvik and Anna will find themselves in, and the fact that the protagonists cannot hide from the powers that be. They are and will remain in the spotlight. The first act’s narrative structure involving the intercutting of flashbacks into the domestic drama, as the truth of the situation dawns on Ludvik, complements the film’s overarching visual style. Here the generic identity of the film switches from drama and film noir to horror, signified by the change in mode of address from third to first person point-of-view cinematography. This structure reinforces the essence of the drama – the invasion of the political into the personal sphere – by abruptly interjecting the flashbacks into the unfolding marital crisis. It also highlights Ludvik’s assumed role of investigative narrative agency (by emphasising his trek through the party in search of different officials) only to undermine this later when it is revealed the extent to which he himself is the subject rather than the object of the investigation. He is the one under scrutiny. All of this distinguishes both Kachyna and The Ear from the Czech New Wave (which Kachyna was not a part of, coming from the previous generation who began making films and documentaries in the early 1950s). Many of the most famous films of the New Wave were seriocomic, satirical works which mixed neo-realism, direct cinema and documentary techniques with comedy, absurdity and fantasy. The New Wave films, especially those by Forman and Menzel, also tended to focus on individuals or professional groups rather more than familial relationships. The Ear, by contrast, presents a bleak domestic and political prognosis that is, broadly speaking, more in keeping with Polish or Hungarian cinema of the time than with the majority of its national brethren. For example, contrast Kachyna’s film with the representation of marital discord in, say, Roman Polanski’s Knife in the Water (1962); or with the portrait of the personal cost of political repression and the need for hope in adversity found in Károly Makk’s Love (1971), which similarly uses a fragmented narrative structure to elucidate a familial crises. Kachyna always considered himself first and foremost a visual stylist, but in The Ear his visual sensibilities are perfectly attuned to the profound weight of his narrative. As the final, bitterly ironic twist makes it clear that it may well be better to be an enemy than a friend of the State, the director pares down the hitherto stylised mise en scène (and, as stated above, all attendant notions of the characters’ identities and roles) to present a picture of a marriage from which all certainties have similarly been removed. Anna and Ludvik simply have each other. It may be all they will ever have… and it may just be a start.